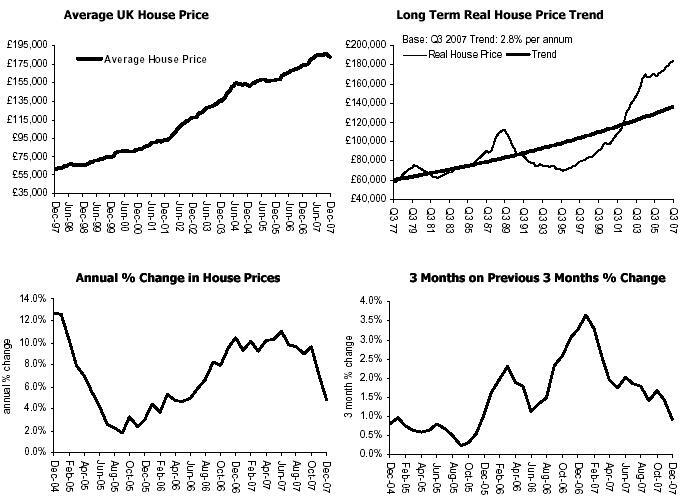 “The housing market has weakened significantly in the closing months of 2007 after holding up more strongly than expected in the earlier part of the year. While we finish the year with house prices broadly in the range we had expected, the path to this point has been quite different to our expectations. Most indicators now show that demand is responding to the pressures of weak affordability, past increases in interest rates and the lower house price expectations that we had expected to take hold earlier in the year. However, the turmoil in the financial markets resulting from the US sub-prime mortgage issue and the problems experienced by a UK mortgage bank have swiftly added to the pace of changing sentiment in latter months. “As funding conditions have tightened and risk aversion has risen amongst banks, there has been a decline in the availability of mortgages at the riskier end of the borrowing spectrum and an increase in their price. This will undoubtedly choke off new sub-prime lending in 2008, but may also make it more difficult and expensive for existing sub-prime borrowers to re-mortgage. 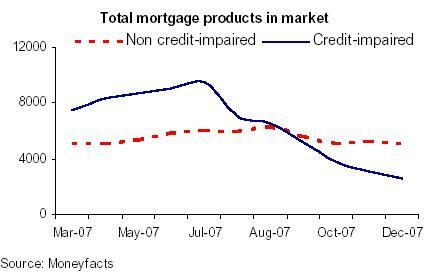 By contrast, credit supply in the prime lending sector has still been largely unaffected. Nonetheless, a return of more normal trading conditions in the money markets will be important for the health of both the housing market and the wider economy in 2008. The MPC voted unanimously to reduce Bank of England Consumer services Other business Financial and professional interest rates to 5.5% at the December meeting. It judged that the downside risk economic activity and inflation from financial market turmoil for now outweighed the upside risks to inflation from short-run cost pressures in the energy and food sectors. Indeed, there are now clearer signs that the economy is slowing noticeably. Although activity in the manufacturing sector still appears to be holding up relatively well, a significant pu has been observed in the more importa services sector. The biggest slowdown ha been in financial and professional servic major contributor to economic growt last two years. This sector is certainly feeling the effects of recent market events and is unlikely to make as big a contribution to econo ic growth in 2008.
s the economy slows below its trend rate in 2008 and demand pressures ease, the MPC appears likely to cut h “A rates by another 50 basis points, but possibly more. 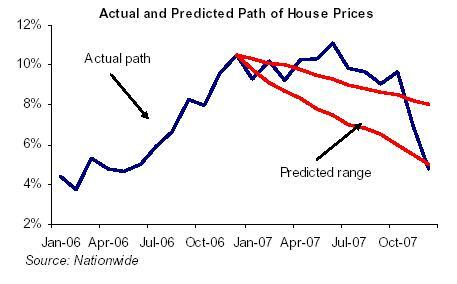 However, the response of the housing market is unlikely to mirror that of August 2005. It is true that lower interest rates will probably help market activity recover somewhat later in 2008, as lower house price growth restores some affordability and allows pent-up demand from first-time buyers to be released. 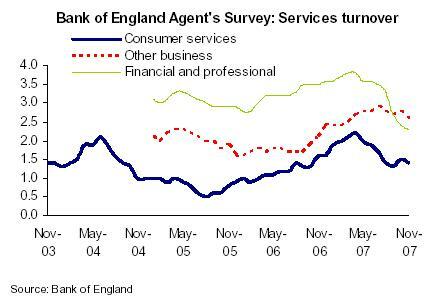 However, it seems unlikely that there will be a big recovery in activity and prices mirroring the 2005 experience. This is mainly because housing affordability is starting from a muc worse position than in 2005, while interest rate cuts have started from a higher and more restrictive level. Therefore, this time around lower interest rates are more likely to stabilise market activity rather than reignite it.